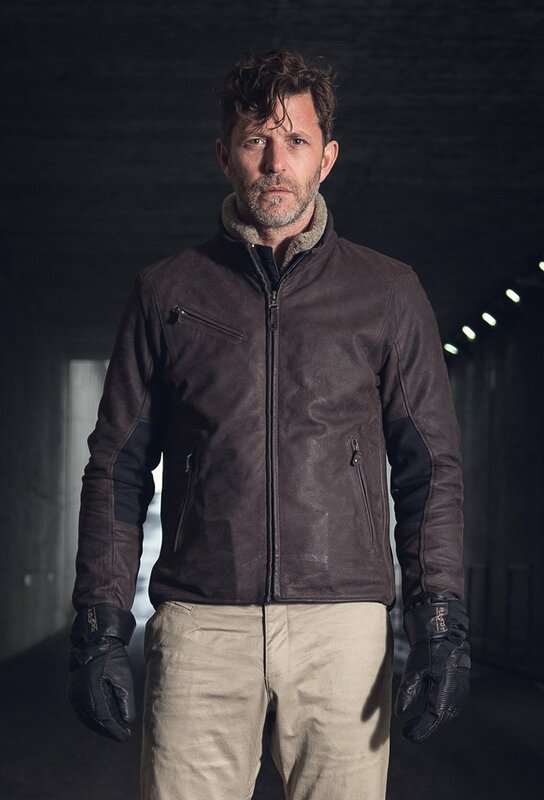 At this time of year, December, we wouldn’t normally expect to be nominating a leather jacket as our product of the month, but the Spidi Firebird jacket is more versatile than most leather jackets, and it’s certainly one you could wear, without hesitation, on even the coldest of December or January days. 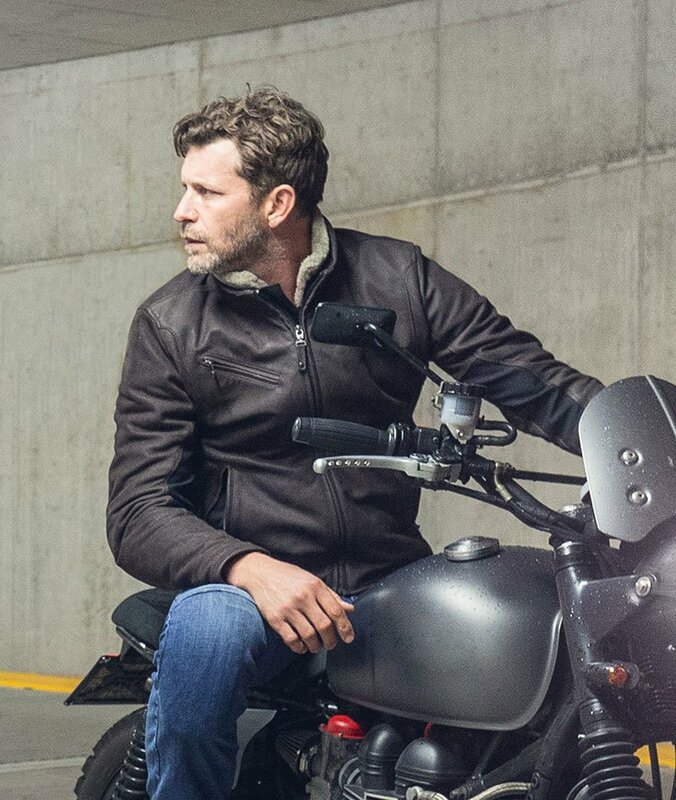 But, at any time of the year, the Firebird is a brilliant leather jacket that fits brilliantly in a wide array of sizes, and that works amazingly well on the bike. The leather itself is Nubuck leather. That’s not a suede. Basically it’s a full-grain leather that has been lightly sanded to give the leather a slight nap. Not everybody, it has to be said, is a fan. It is, after all, a bit different. And some people feel uncomfortable with the unusual. It’s not a problem for us, though. We like it; it’s merely leather with an interesting texture. The leather on the Firebird has been treated in the tanning to make it waterproof. 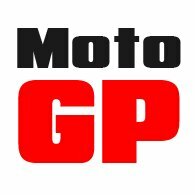 Spidi calls the leather 50% waterproof which, frankly, is ridiculous. What we could say is that the jacket is very firmly water resistant. In a shower of light to moderate rain, for up to 45 minutes or so, you’ll get away with it. An hour or more in hard rain, and you’re in the wrong jacket. For us, though, the stand-out feature of the Firebird is its fit. The fit from a body prospect. But also the way the jacket works on the bike. The reason the jacket fits so well is the accordion stretch panels that run top to bottom up both flanks. The Firebird is worn tight; it makes for a very flattering look. But bend forward, and the jacket flexes with you. What makes it so exceptional, however, is that it works so well on a huge array of shapes and sizes. It looks good on the super thin, but even if there’s a bit of a tummy involved, the Firebird looks great. Whatever the shape the jacket always flatters. Sometimes, in the shop in Guildford, somebody will walk in who is not only tall but particularly long in the upper half of the body. 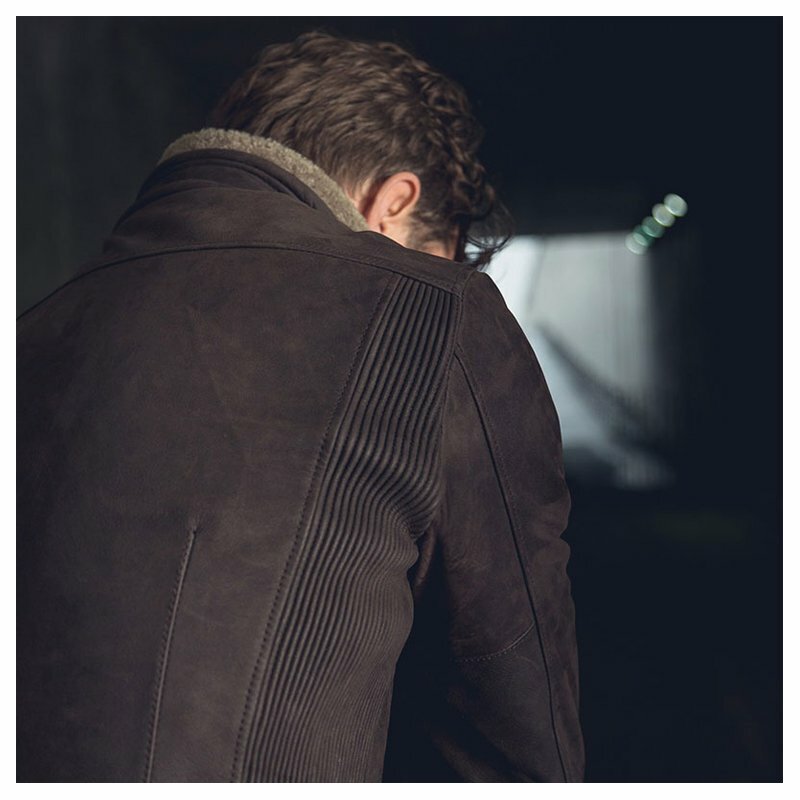 We’re talking about the kind of person on whom a blouson-style leather jacket usually won’t work because it’s nowhere near long enough to cover the belt line. The Firebird has a particularly long back, so pretty much however tall you are, however long in the back, the Firebird will be more than long enough. But, at the front, the jacket is short. And, of course, this is exactly what a motorcycle jacket should be. Short at the front so that, when you sit on the bike, your knees don’t push the neck of the jacket into your throat. And long enough at the back to make sure that the wind and the rain can’t get in. In our opinion, the Firebird is perhaps the best-fitting leather jacket we sell. If ever we have somebody in the shop who can’t find a jacket to fit them properly, the Firebird normally offers the solution. Of course, there’s lots more to the Firebird than its fit. It comes, as you would imagine, with armour in the shoulders and elbows. And it has a pocket for a back protector. Personally, we like to go with a D3O protector, even though it’s not what Spidi recommends. What makes the Firebird even more versatile is its thermal inner that means it can be worn as a lightweight jacket in the summer, as well as a properly thermal one in the winter. 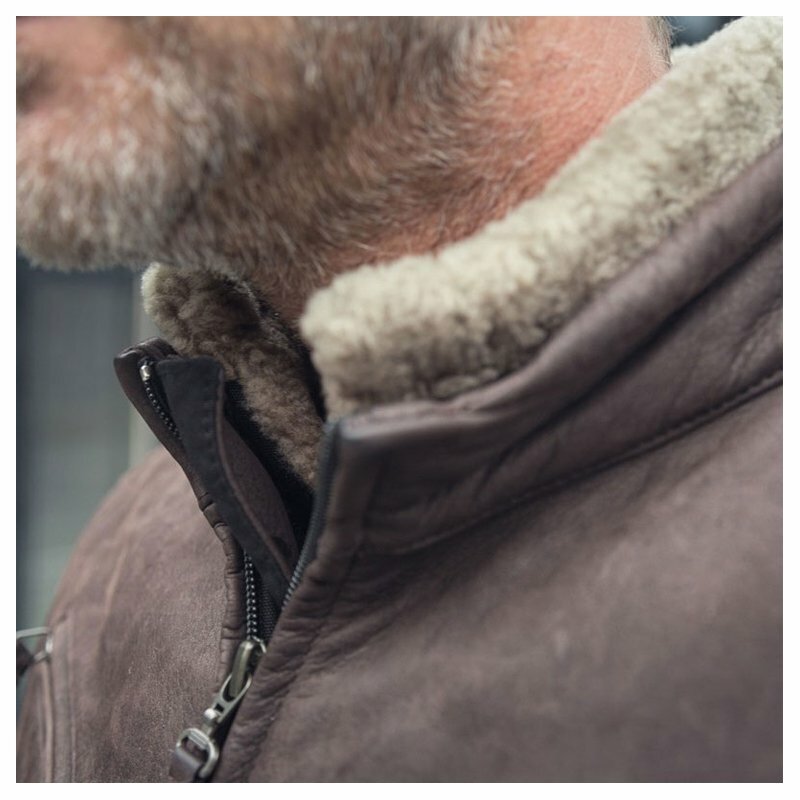 The pièce de résistance is the shearling collar. We love it, although not everybody does. But our view is that, if you don’t, remove the inner jacket and wear a jumper instead. It would be a shame, though, because the collar really does make the Firebird into a winter warmer. The other stuff is really just detail. Three zip pockets on the outside; one inside the jacket. Flex Tenax panels in the elbows that reduce bulk and make articulation of the arm easier. A clip to enable the jacket to be attached to a belt. And so on. We also, we have to say, like the Firebird because it doesn’t look like a bike jacket. It’s as plain, simple and uncluttered as it’s possible for a bike jacket to be. it’s smart, understated, comfortable and easy-to-wear. Yet it’s a great jacket to ride in. All in all, it’s about as complete a biking jacket as you’ll ever come across. It’s why we feel it more than deserves to be our Product of the Month for December. 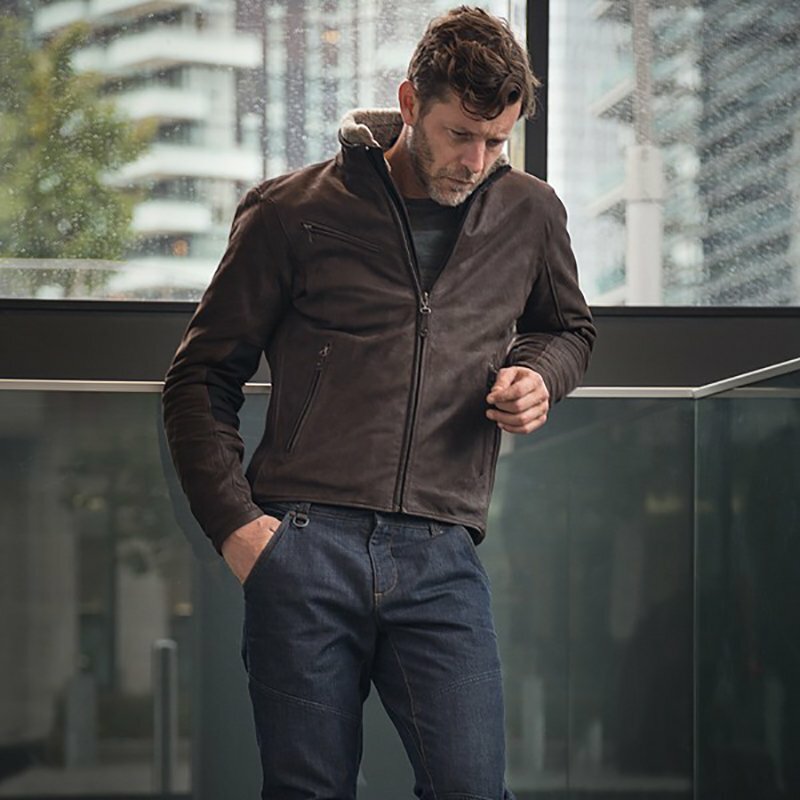 Click Spidi Firebird jacket to shop the Spidi Firebird jacket.